I'm super excited to have Francesca Haig on the blog today, talking about her latest book The Map of Bones. So your second book is out, how does that compare to the excitement of seeing your debut on the shelves? It’s definitely a different feeling – there are moments that I catch myself taking it for granted, or at least being a bit less giddy about the whole process, just because I’ve grown more used to it. But I still regularly get struck by how unlikely and extraordinary the whole thing is. When the first copies of The Map of Bones arrived at my house, I wasn’t too jaded to clutch them and have a little cry! In one sentence, how would you describe The Map of Bones? It’s a book of two directions: looking backwards, at how Cass’s scorched world got that way, and also forward, at the many different kinds of courage that it takes to fight for a better world. The seers don't face a bright future, why are visions more of a burden than a gift? Given that the series deals so much with ideas of disability, it was really important to me that it also dealt with invisible disability, including mental illness. If Cass’ visions were some kind of gift, like a superpower, then she wouldn’t be experiencing the real challenges of Omega life – and it would have felt like a cop-out to have the novel’s main character not actually having a disability. Her visions are sometimes useful, but the price that she pays is enormous – they’re a daily struggle for her, and they drive her to the very edge. That was a much more interesting idea to me than having the visions as a gift. 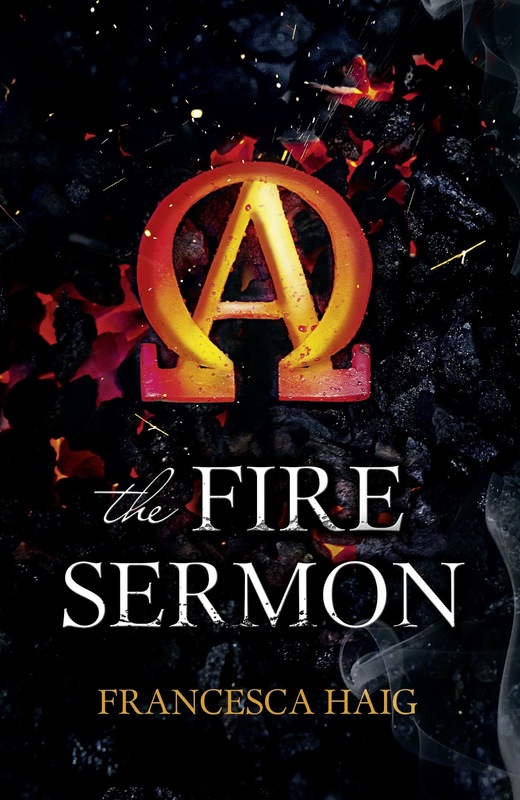 Would you rather be an Alpha or Omega? Hopefully the whole message of the books is that there’s no fundamental difference between the two of them – only the difficulties constructed by the divided society in which they live - so I’m not going choose! With towns named after John Wyndham and Walter M. Miller, how influenced are you by the classics? It depends on what you call ‘the classics.’ I definitely owe a big debt to a lot of the post-apocalyptic novels of the 50s to 70s, like Wyndham’s The Chrysalids; Miller’s A Canticle for Leibowitz; and Shute’s On the Beach. But a lot of more recent books have been influential too, especially McCarthy’s astounding The Road, and Robin Hobb’s brilliant Farseer novels. All writers like to think that we’re breaking new ground, but really we’re magpies, picking up ideas and inspiration wherever we can. In your books technology from the Before is taboo. Do you think technology can be detrimental to our lives? If Dreamworks let you choose, who would be your dream cast for the adaptation? Film stuff happens so slowly, if at all, that the actors I used to daydream about casting are now much too old! 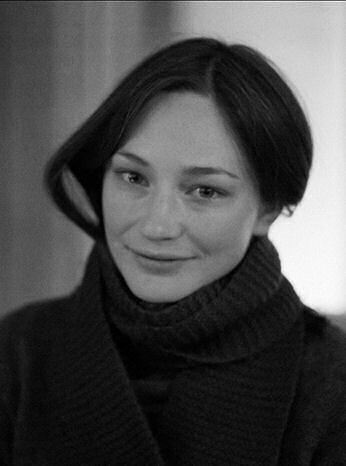 I used to think that Carey Mulligan would be amazing as Cass, and Ezra Miller as Zach, but both of them are too old now. And no actor, however brilliant, will ever match precisely the version of the characters that I see when I’m writing – that’s the joy in writing them. Can you give any hints to what's in store for Cass in the future? In the final book of the trilogy, Cass and Zach find themselves thrust back together, in a way that neither of them could have planned. And the scope of the struggle is now far larger than the pair of them – Cass is up fighting a war that feels like it can’t be won. But she’s also found something worth fighting for. Would you like to share anything interesting/funny/relevant you've found on the internet lately? It’s not new, and it’s hard to imagine what it could be relevant to, but the clip of the screaming goat intercut with the pretentiousness of Maroon 5’s ‘You Will Be Loved’ video gets me every time. If ever there were proof of the true value of technology, it’s this video. And finally, what's your favourite kind of cake? A really good carrot cake, with masses of cream-cheese icing, is hard to beat. Thanks Francesca for taking the time to answer my questions. 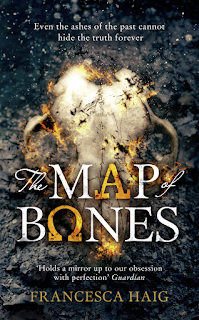 The Map of Bones is out today and you can read my review here to find out more.